Our area of activity is centred on olive growing. At Todolivo we offer an integral quality service to the olive grower which covers all the production cycle from the execution of the plantations to the ripening and commercialisation of the Extra Virgin oil obtained. At Todolivo we have a clear international vocation as regards carrying out our activity. We work where the climate and logistics allow us to. We have created and/or technically assisted plantations in Spain, Portugal, Morocco, Tunisia, Algeria, Egypt, Italy, Greece, Turkey, Croatia, Mexico, the United States, Chile and Argentina. We are leaders in the execution and management of high density olive grove plantations with more than 17,000 hectares planted. Among our achievements is having broken the average production record on an estate (21,580 kg of olive /hectare; 3,534 kg of Extra Virgin oil/hectare). To date we have produced 35 new varieties which have been selected for their high yields and productivity, resistance and tolerance to diseases, as well as for the excellent organoleptic properties of their oils. From here we wish to thank each and every one of our clients for their trust and loyalty demonstrated over the years, which encourages us to continue working and researching enthusiastically in order to pass on all the knowledge we acquire to them. 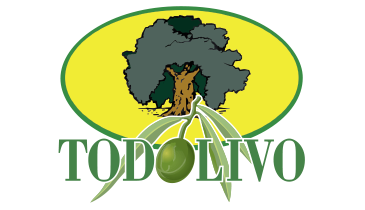 Todolivo was founded in 1985 in order to provide olive growers with all the products and services required to improve the health and productivity of their olive groves. From its beginnings, at Todolivo we have stood out due to our intensive research and development work, as well as our innovative facet. In these first years we made our first variety selections (Picual, Hojiblanca, Picudo, Arbequino, etc). In 1985 we also created our first “intensive” olive grove with an 8m x 8m layout, rainfed and with one foot, which was revolutionary in the zone due to the fact that it improved the yields of the traditional trees with several feet planted at 10m x 10m. During the next 10 years, we created more than 10,000 hectares of intensive olive grove plantations with different layouts. In the middle of the nineties, we were pioneers at world level in the development and implementation of high density olive groves, creating our own system termed “Todolivo High Density Olive Grove System”, which was widely recognised at world level, and we have surpassed all the registers of quality and productivity known until now. In February 2007, the SOS Group (world leader in the commercialisation of olive oil) was incorporated into the shareholding of Todolivo with a 50% participation. During this period, Todolivo was the company in charge of executing the “Proyecto Tierra” (“Project Earth”) fostered by this Group. 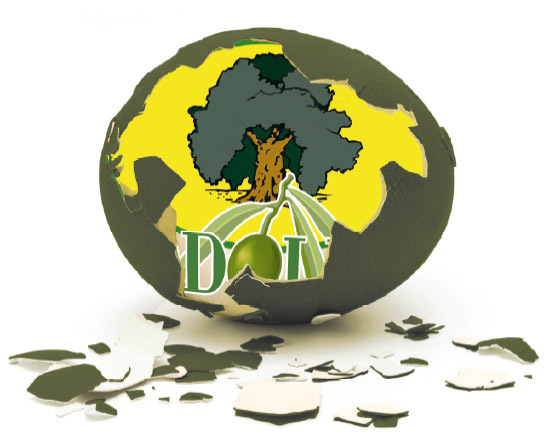 In August 2010, the founding shareholders of Todolivo bought back the participation of the SOS Group (Today Deoleo) and recovered 100 % of their shares. To date at Todolivo, we continue to produce new varieties which enrich the current organoleptic catalogue of Extra Virgin oils, as well as selecting and recovering varieties, many of which were almost extinct, which bring back delicious flavours and aromas from the past. From our beginnings, research, development and innovation have formed an essential part of our central identity. At the present time, we are immersed in several of our own research projects on High Density Olive Groves and also in collaboration with public and private organisms. 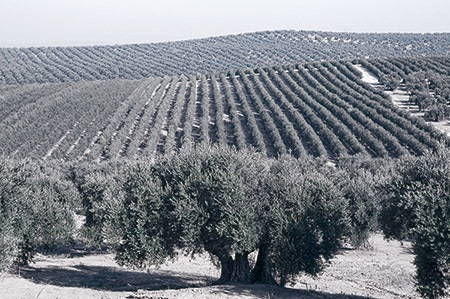 Through research, we have achieved developments such as: new cultivation techniques such as the “Todolivo High Density Olive Grove System”, which makes it possible to enjoy modern olive growing which is profitable, sustainable and oriented to obtaining 100% of Extra Virgin oils. We are also immersed in several projects for obtaining new varieties, such as the one we began in 2007 with the Universidad de Córdoba and Ifapa Alameda del Obispo. This is aimed at obtaining new varieties of high density olive groves, which improve on their progenitors as regards production, fat yield and resistance to disease as well as enabling us to draw up an innovative organoleptic catalogue, which provides new types of oils with fruity flavours and aromas, which undoubtedly suppose a revolution in the market. This takes in the production cycle from the execution of plantations until the ripening and commercialisation of the oil. The client decides the level of service he wants to work at with us. It is carried out by an expert and qualified technical team made up o: agricultural engineers, specialised machinists, tractor drivers, hydraulic mechanics, field technicians, etc. We use latest generation machinery and technology.